Here’s the beautiful thing about doing a cyberpunk cosplay: the era that gave us cyberpunk also filled today’s thrift stores. Many of those generous donations sit on the shelves to this day, and new merchandise is always being discovered. Putting together a costume has never been easier. Here are a few tips, tricks, and items waiting at your local thrift store to make you ready for the day the machines take over. Whether you are a detective or a replicant, you’ll need a trench coat to keep of the rain (because you’re just too cool to carry around a glowing umbrella, right?). Thrift stores are full of old trench coats just begging for a makeover. 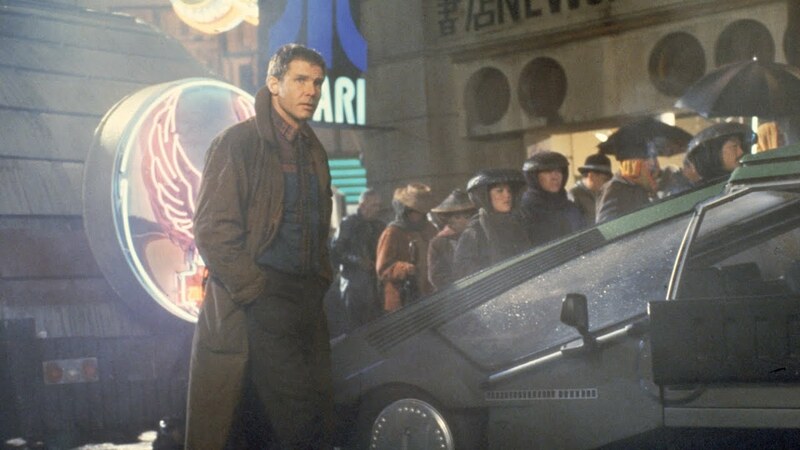 So, break out your pins and get tacking, because a great trench coat is a cyberpunk staple. A lot of cyberpunk highlights the struggle between the world of man and the realm of machines. If you’re looking for a unique piece of jewelry or some wires to suggest you are more machine than man, you can find a lot of old phones, computers, etc. at the thrift store. Just remember to use caution (and goggles) when breaking apart your finds. If you have an original design in mind, it’s worth your time to visit the thrift store before hitting a crafting chain. Even if your local thrift doesn’t resell plain fabric, they probably have curtains, table runners, and other large pieces of fabric you can upcycle. A popular cyberpunk look involves layering. Although thrift stores may not provide the kinds of top layers you seek (hooded, asymmetrical jackets, for example), they do have tank tops, well-worn long sleeve shirts, a metric ton of jeans, and maybe even some leggings. You can use thrift stores to build the base of your costume so you can save the big bucks for the showy top layers and glowing accessories.